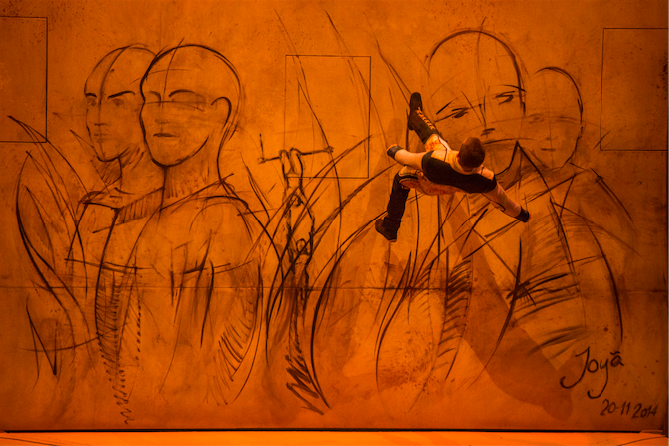 Before you start thinking that JOYA is another typical Cirque du Soleil show you can see in other cities, like Las Vegas, think again. JOYA has many firsts including being set in a remote location in the Mexican jungle. During construction of the JOYA site, trees, rare plants and animals were all displaced. 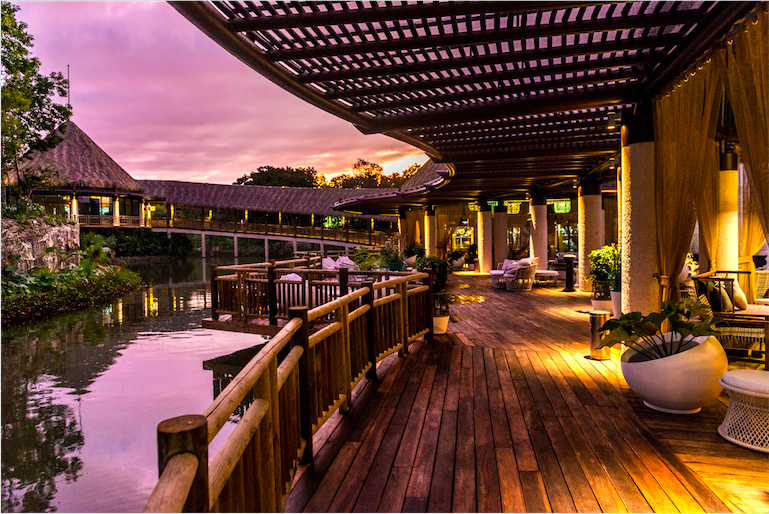 To better preserve the natural habitat, a wooden walkway leading to the theatre was deliberately built above ground, allowing animals to pass freely underneath. Cenotes (pronounced say-no-tays) are naturally occurring sinkholes resulting from the collapse of limestone bedrock that expose groundwater underneath. The Maya believed these pools were sacred gateways to the afterlife, their openings representing sacred portals to a mythical underworld. 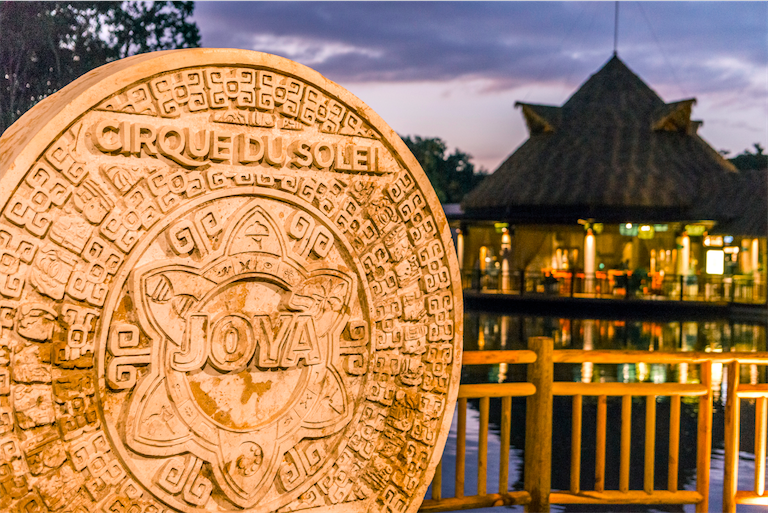 Everything built around the JOYA theater is meant to give the impression one is stepping into a large cenote among the mangroves, complete with crystal-clear water pools, coral rocks, and a magnificent waterfall. 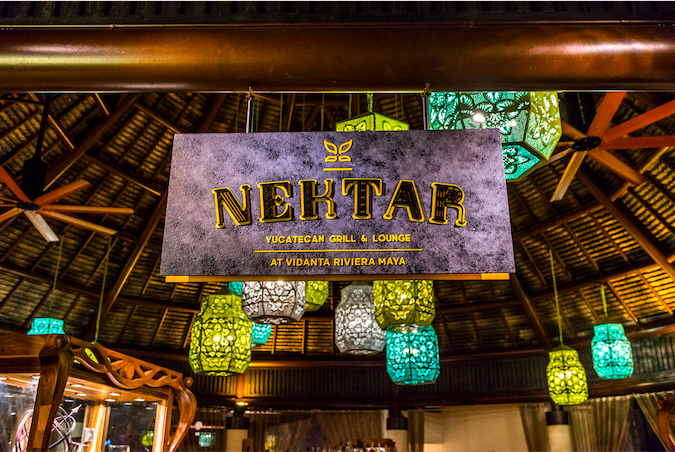 Along the wooden path on the way to theater is the Nektar Bar and Grill. 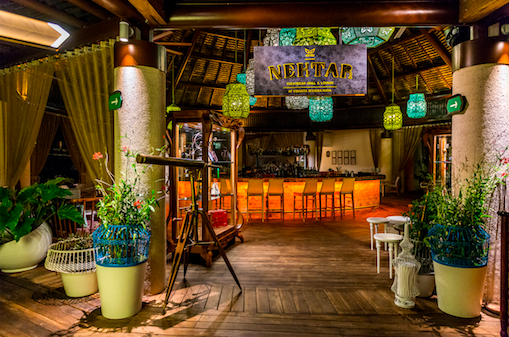 It’s a place to stop and grab a drink or a bite to eat either before or after the show. 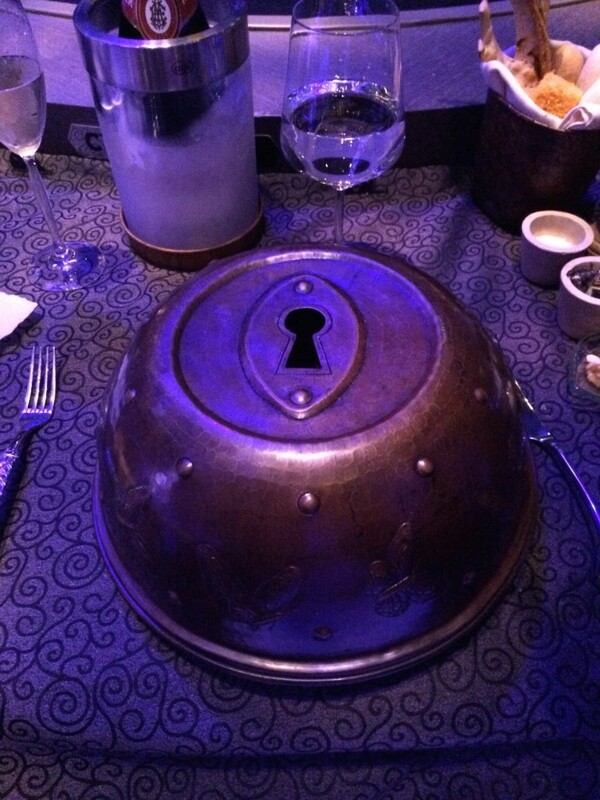 However, if you so choose, you can have dinner included with the show in a special reserved section. 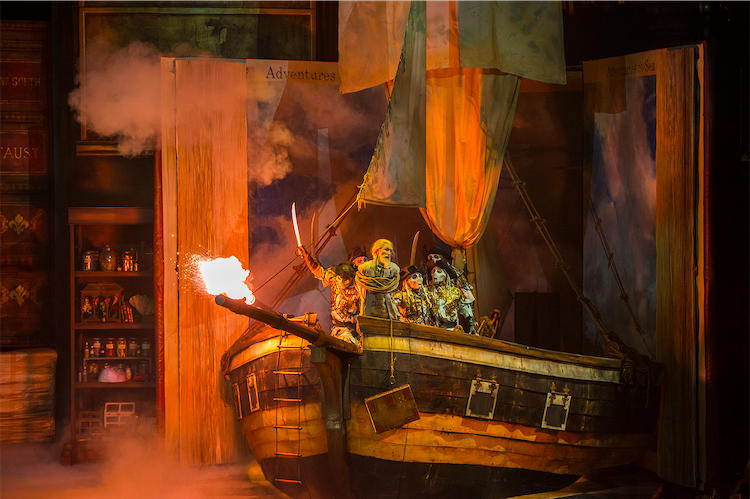 If you choose the dining package, your experience starts one hour prior to showtime and includes an edible menu that you can break apart and eat. Diners also get to experience the “dragon breath” effect, a molecular cuisine creation that causes smoke to billow out the guest’s mouth when he or she breathes out. 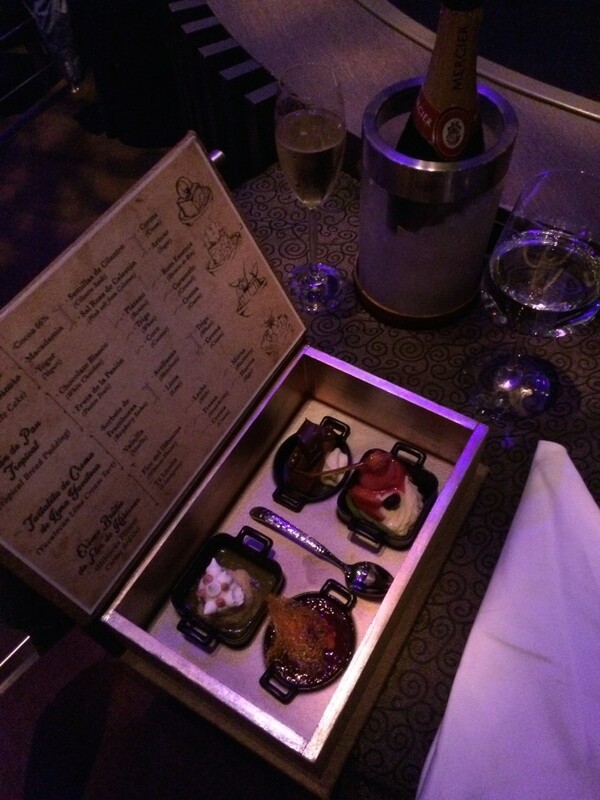 The meal is rounded off with a stunning array of exquisite desserts presented inside a book. The set and theater is set to a “naturalium”, a library of sorts where books set the stage for the story that unfolds. Mexican culture and history heavily influence the show as several things are represented from the migration of monarch butterflies to the supposed asteroid that struck down and signaled the eventual extinction of the dinosaurs. 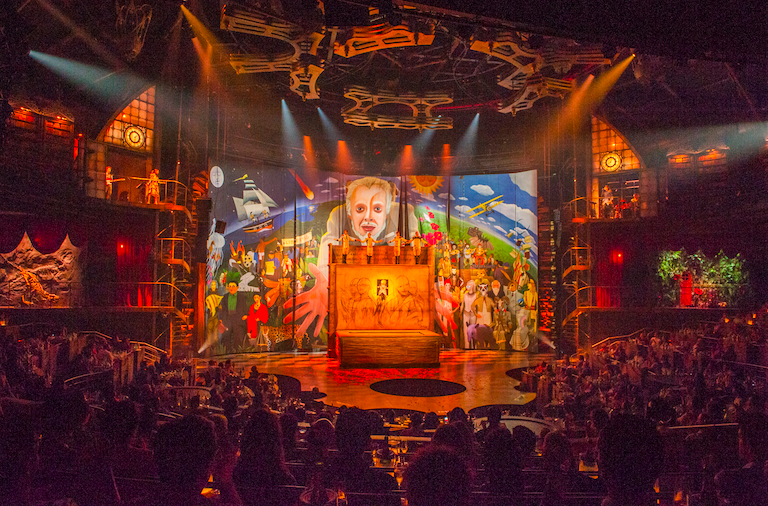 In true Cirque fashion, the show is a true spectacle, with enormous immersive sets to incredible acrobatics and some of it taking place right in the middle of the audience. 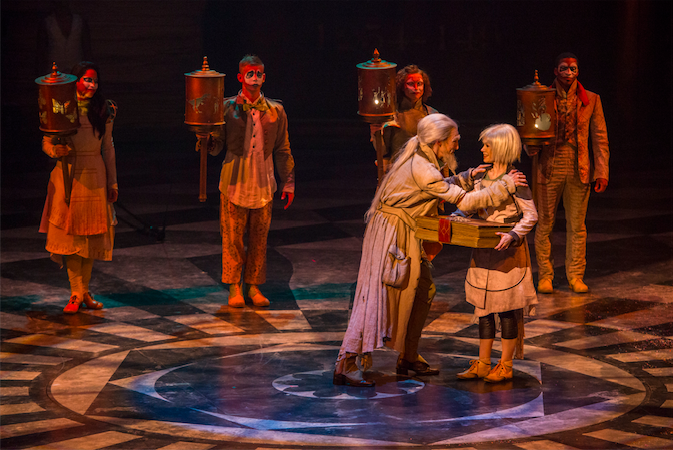 It seems that Cirque is at a turning point with this show. Instead of creating new amazing spectacles, this one is an intimate experience that engages all your senses. 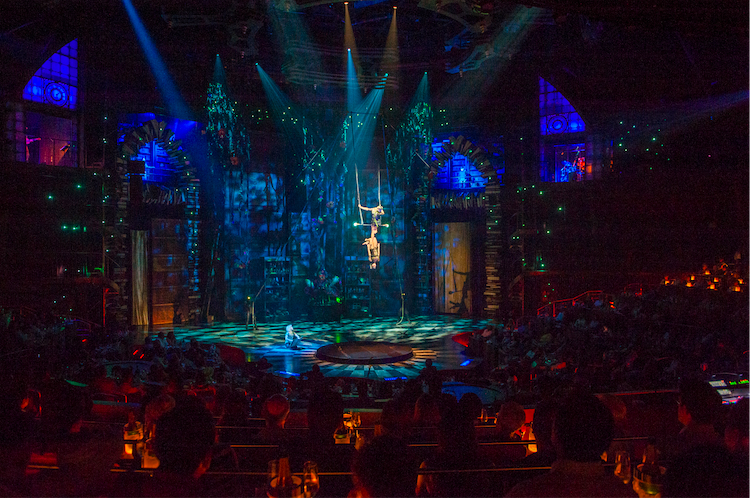 Considering the new Cirque du Soleil theme park is breaking ground soon, I may need to book a trip to Mexico. 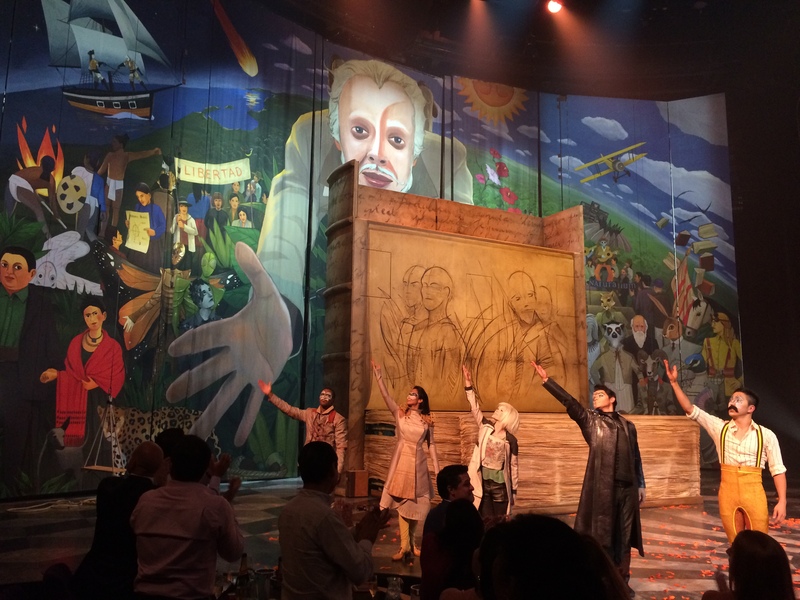 This entry was posted in Dinner shows, Immersive Theater, Outside The Parks and tagged cirque du soleil, Dinner, immersive theater, Joya, mexico. Bookmark the permalink. Trackbacks are closed, but you can post a comment.